There is a very less number of Indians in Nicaragua. Very few Indians residing in Managua. We tried our level best to get more information on the Indian community in Nicaragua. But our efforts are still continuing. If you are living in Nicaragua, please assist us to publish useful information about Nicaragua country. East facing house: Many thought that east direction is most beneficial. But listen carefully, all east facing homes are not good for happy living. One should note this point. Doubly, unfortunately, some residents purchased east facing homes and fall into a lot of troubles, what are they, and how they suffer. Read the above link. Northeast facing entrance vastu, everyone should know about Northeast and residents quality life in NE homes. Is really NE facing entrance home bringing all luck to the residents. Check this above link. Southeast facing house vastu, total how many Southeast facing and southeast block homes are there, what are they. how to find out whether they are good and whether they are bad. This above link has some information with images. Advantages of north west facing house vastu, need to know about NW facing homes and advantages and disadvantages of NW homes, this link has good content with images. South facing house vastu is really South facing homes are cruel and not allowed for a peaceful life. Read the merits and demerits of South facing homes. South west facing house good or bad, most of the residents has much doubt that all Southwest facing homes are not good. Read content in this link, one can easily understand what are the exact reasons for the happy and unhappy life of different direction homes. North Facing House Vastu, before running for this North facing homes, best to check the link content, don't consider that all North facing homes are excellent. 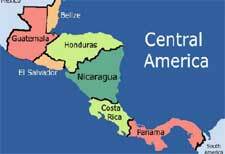 Nicaragua, authentically the “Republic of Nicaragua” is an independent country in Central America. The country due to its location has spectacular characteristics and is known for its beautiful beaches, lakes, cuisine, and volcanoes. The earliest known humans in the region were “Paleo-Americans” that inhabited the region in approx. 12,000 BC. Also, the earliest people/tribes were hunter-gatherers, but later people were somehow advanced and knew farming, fishing, Agriculture, etc. They also cleared large tracts of lands for cultivation. 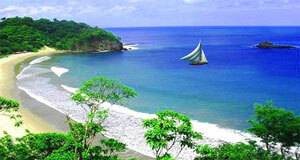 The first European to visit Nicaragua was famous Christopher Columbus who reached in 1502. Later on, in 1524, the first permanent Spanish settlement was founded in the region. The Spanish arrival almost destructed the indigenous people and their belongings and they nearly went extinct. The causes were diseases or endless conflicts. The country gained independence in 1821, eliminating the long colonial rule. The central and Northern parts of the country feature mountains and hills which are termed as “Central Highlands”, while eastern and western parts of the country are plain and are called “Pacific lowlands” and “Caribbean lowlands” respectively. The central highlands are diversified in terms of geography and are fertile featuring rivers, mountains, and forests. Also, this is the region where some unique crops like coffee, etc. are produced. Moreover, the country has rich flora and fauna having a variety of animal and plant species, some of them are not found elsewhere. Although, having exotic features and rich land, Nicaragua is one of the least developed and poorest countries in the region. Agriculture plays a crucial role in the country’s economy while Services is the largest economic sector. Tourism also brings in huge revenue. 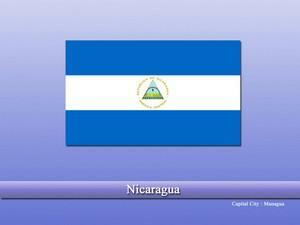 Nicaraguan Spanish is the official and widely recognized language of the country. In terms of religion, the majority of the Nicaraguan people follow Christianity.